This may not be an encouraging title for a Valentine’s Day post, but unfortunately, this is a common query people use to come to the blog. Love is made to be lasting, and while your love may still be on, at times the person of your affection stops returning your love. How can we move on? 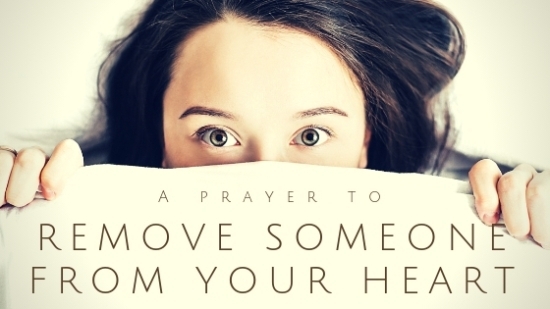 Here is a prayer to remove someone form your heart. Listen to God’s prayer for you to remove someone from your heart. That person was never supposed to fill your needs for love. I am the One who created you for love so that I may be the One who would satisfy your longings. Come to Me. My arms are open to receive you. Lay your head on My chest and pour out your heart. Tears open you up for the healing. Cry for the disappointment and loss, but not for despair for I give you hope. Freedom is coming. My love is on you, with you, and for you. How Do I Remove Someone From My Heart? Freedom is found similarly to forgiveness. Here are some simple steps to help you find your freedom. Confess how you have placed too much of your heart on the other person. Confess how you have trusted them over God. Thank God for His forgiveness. It is already there for you. Receive it through giving thanks. Forgive the other person for all the pain you felt from them. Forgive yourself for giving so much of yourself to them. Renounce any ties that bind you to that person. Daily proclaim that you are free to receive love again, and you will trust God to show you appropriate places to find love. You may need some time to reprogram your heart to realize this freedom, but the constant reminder of the proclamations will open you up to what God has given. May this Valentine’s Day be the start of your freedom to love again. Dr. Robert D. Enright PhD has put years of study into forgiveness and his book, Forgiveness is a Choice, has simplified his findings to allow the readers to find freedom. Check it out to help remove someone from your heart. Dear T., May God fill you with His hope. He is not mad with you. He sees your hunger for love and wants to fill it. May His love wash over you removing the ties that binds you away from Him and the blessing He wants to give you by His love. Joy is your inheritance. I obviously don’t know your situation, but I feel for your dilemma. If you have done the first 4 steps above, I would suggest just focusing on the step 5. If you feel drawn again to this person, trust the emotional ties are broken, bless the guy, and thank Jesus for His love for you. You have someone that will love you completely for who you are. Someone who will receive and appreciate the love you give. You are a woman of significance and the love you give has value. Focus your heart on the one who values you immensely. And, if you ever feel that same value coming from a man, then allow your heart to start slowly opening up to him. You are a princess of the King. You carry His kingdom wherever you go. Those that are wise will respect and honor you. I sense God longing to draw you in to comfort you. He sees your tears and feels your pain. Imagine yourself telling Him exactly how you are feeling and wait for His response. Healing is in His words for you. Healing is in knowing He has not left you alone. Pursue God and He will reveal Himself to you. He will redeem every bad thing that has happened. He is a good God. Strange running into this post a year after it’s date, but it seems like those steps are what I need to be doing. I need people’s prayers to help me get past this hurt. It’s been four month and I still can’t. Even though the man is physically out of my life my heart and mind just go back to him everyday I think of him. I still ask God to take care of him yet I feel such hurt and resentment. I’m sorry for your hurt. I pray you find freedom soon. It sounds like praying for him has actually kept you connected to him and limited the pain he actually caused you. He may be a good man, but you need to grieve and move on. It is someone else’s job to pray for him now. In your times with God, you are the most important person to Him. Allow Him to focus on you. He loves you very much. Thank you for commenting. I hope you are have great Valentine’s Day. Just when I thought things were going well, she ripped my heart (again). I shouldn’t have trusted her twice, but I know that it was an error. Sometimes, compassion takes more out of you than you might have expected. Please pray for me friends, that I may mend this heart and become a better man. I’m sorry to hear about your experience. I do pray God will mend your heart. May you learn how to keep your love on to those around you knowing that not everyone will hurt you. May God give you wisdom to know who you can trust. I am sorry for the pain you are going through. I believe the pain can be healed and redeemed, but I don’t believe it was ever God’s intent for you to have to bear the pain. May you find the peace and comfort you are looking for. May God use this season to not only heal those broken places in your heart, but also to strengthen your resolve to find your significance in Him alone. I’m sorry you are feeling regrets. That’s a no fun place to be. For the sake of your heart, you should break communication. With Facebook you can stop following his statuses, so he doesn’t pop up on you. However, if you find yourself always checking up on him from his profile page, you should consider unfriending him. You need to protect your heart and not give it to someone who doesn’t value it. He may be a great person and may one day come around, but for right now, you are more valuable than to be eaten up wishing for something that isn’t currently there. God loves you completely and will treat you with respect. Open more of your heart to Him. He will take care of you. If this guy or someone else comes into your life, you will then have more to give from the fullness of who you are and not who you are trying to be to impress someone else. Thank you for your comment. May you find peace and hope for your future. I’m glad this site has been a help. I believe God is happy you value your husband and daughter so much… He gave them to you. I also believe He is smiling that you realize and desire to put Him as the top priority. May He get more instead of your family less. I have pain in my heart, broke up with my BF cuz we were unequally yolked please pray God would restore it if it’s his will. I want to release him to God, and let God have his way in his life. I don’t want it to burden me anymore. I understand that was a difficult step breaking up with your boyfriend, but I applaud your desire to follow God. I know that He is very pleased with you and wants to heal the pain you feel. God is such a good father. He is celebrating you right now. He is turning to the angels and saying, “that’s my girl.” He loves you so much. God has such a good plan for your life. I pray that your eyes will opened to all the resources of heaven moving you toward your destiny. May God become more and more real to you and help give you comfort. Thank you for sharing. May you experience the comfort of our loving God who knows what you are going through and is saddened by your broken heart. I’m sorry that you were treated so cruelly. I pray that you find someone who will love you to the same degree that you love him. You can’t force this, or even love them into it, but there are men willing and able to love. I pray you find one, but I also pray you take time to allow your heart to heal so you can be fully available when that man comes around. God is for you and know what you need. Press in to Him and allow His love to wash over you. PLS no judgement I was involed with a supposed unhappy married for 3yrs he expressed how much he loved me and how God brought us together which that was false God is not a God of confusion but 3weeks the relationship stop abruptly I blame myself I don’t know what I done so bad I tried to contact but no response .Im trying To remove all thought,feeling of him thanks for this artical any other advise? Our hearts don’t always know right or wrong, but we can sure feel when it hurts. I pray that the God of ALL comfort will allow you the deep healing experience of His comfort. God still loves you to your deepest parts. I’ve just been dumped after a 2 year relationship which I know is a good thing. He cheated and lied the whole time. Although I know this, I am in a deep depression and miss him horribly. To make it worse, I work with him. I pray that my pain will be healed and I won’t care for him so that I can go on. Any suggestions? Please pray for me. I’m sorry to hear your situation. The best thing I would suggest is to spend some time with a good girl friend, especially one who loves and hears from the Lord. Have her pray with you. Don’t look so much for direction, but for encouragement from the Lord. Than just spend some time with her. Do some things you both enjoy. Whatever you do, get together with a friend. I have a beautiful bless baby boy by this guy who don’t mean me or my son no good. I want my heart to not love him or think about him anymore, he’s not doing his part as been a father. He has a girlfriend that is telling him that he can’t see his son so he listen to that and does just that. So please pray that me and my son can get pass him and we live our life happy and bless. I pray that God will comfort you and help you know how to proceed. He is for you and your son. May each day bring a greater awareness of God’s favor and pleasure over you. I can’t imagine this being easy for you, but God promises to walk with you. It is rough being in a relationship that you want out of. There is no easy way out, but God can be with you in the process. I pray for His comfort to your heart and an awareness of His help and direction. I have a girl friend but I think I love her so much than my mother. She is away from me, thus I used to think of her every time. I can’t eat, I can’t sleep because of her. She is not so much aware about my suffering. How can I remove this woman from my heart? How can I live my life without hurt my heart because of her? How can I remove those thoughts that make me crazy of love? I pray that you find the peace and comfort God promises you. What progress have you made on the steps above? I wish you joy and happiness in all you do. I’m Bajabulile request prayer to remove someone in my heart, I’m hurt. I pray that you find peace in your relationship with God where unsafe people will not find hooks to hold onto you and safe people will be an enormous blessing to you. I searched & I found but so easy to say than to do. I met my first love Dec 2006. He was the reason I found & experience God for the first time. I remember one night in June 2007 I prayed SO HARD, the hardest I have ever prayed for God to remove him from my heart. 10 years mater he’s still in my heart. I love this man so much. He has cause e me nothing but pain & heartache so I am not truly don’t know Y I still have him in my heart. I can relate to every word in this article. I have googled so many times how to let go of someone you love but have never found an answer leading me to God’s love. I’m at the end so I’m so happy I found this article. I have some strange connection to this person. He has given me 99 reasons to leave him in my past but I continue to hold onto that 1 reason to bring him forth in my future. Even Dec 31, 2016, I took decided to leave him in 2016. Mentally I told myself I was not going to bring him into 2017. I was doing so well but brought him on Jan 29, 2017. I couldn’t even go a month. I must say I had a child with another man in 2013. I got with him to get over my first love. We weren’t together for 4 yrs & I thought I had let him go. However, when my son was 1 we linked back & I fell completely back in love with him. This man got his life together & came back ready to committ & for marriage but it was too late. I love my son but his father has turned out to be such a huge disappointment so I broke it off. Now I have a child with a man I have no love or respect for & the man who I’m crazy head over heels in love with wants nothing to do with me cause in his mind I should have waited on him lol. I really want this man out of my heart cause he won’t even accept my calls anymore. So heartbreaking. Thank u for ur article. I will wholeheartedly look to God for healing & FREEDOM. It’s tough to look back at our lives and say what we could have done or what we should have done. God doesn’t limit His dreams for your because of your past. He is always looking to redeem every situation. He created you to know Him and enjoy this life He has planned for you. Say aloud that you let go of everything that has a hold of your heart and commit it to the Lord. I understand you will say this by faith, but if this is what you want and you commit to say it aloud, it will become more and more your reality. I thought of another thing. I think you should also earnestly thank God for the gift of your son. I can hear your love for him in your comment, but the more you say it in prayer, to others, in front of your son, etc., the more you will not focus on what went wrong, but on the blessing of God on your life. God would rather let you know He loves you than to always be pointing out what we may have done wrong. I’m not saying He doesn’t correct us, but His correction will never overpower us; it will always lead us to life. Shaniaah, thank you for sharing your comment. I believe you are going in a good direction. May the blessing of the Lord overwhelm you completely. He never stopped His affection for you. Over 20 years ago, I was involved with someone I believed was my soulmate. He lied, cheated and wasn’t always the nicest person. We would break up and get back together again. I always thought we would eventually get back together and make it work. In 1999, he wanted to try again but I found out he was with someone and he was still doing drugs. I moved on and met my husband. My husband and I have been married since 2000 and are currently separated. We have four children and have moved to a different state. I have never stopped loving my ex-boyfriend and hoping that we would get back together. During the past couple of months, my ex and I have been communicating and were planning to see each other when I went back up North next month. He kept telling me that he cared about me and I was having trouble believing it. Today, I he told me he was dating someone and wasn’t going to tell me unless it became serious. He even tried to blame the fact that he met someone else on me. We had no commitment and all I asked for was the truth. He could not even give me it. I am sick of having feelings for him. I have tried prayer, wishing and hiding my feelings for him. I want to be able to not love him. Please help me. I can’t cry anymore over someone who will only hurt or play games with me. Thank you for sharing. I feel your hurt. I pray that you find a new peace and freedom in your relationships. God loves you more than you know. I’m sorry this happened to you. 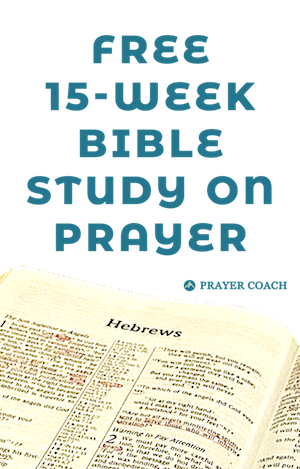 Read the Psalms. Find ones that match what you are feeling and allow them to minister to you. I’m over 50 and recently had a man come back into my life that I was in love with 25 years ago. I was able to move on back then but can’t now. The feelings returned on my end, but he was just playing games. I’m broken and can’t get past it. Heart connections can be so difficult to get over. I’m sorry you are going through this, but Jesus can heal you. I hope you find the detail in this post helpful to you. God loves you so much. He sees that you are hurting. He doesn’t want to remove this person because of anything you have done, but because what the pain is doing to you. Tell God that you would like more of Jesus to fill those areas that were being occupied by this man. Jesus will come. James 4:8. He will make you feel clean. Acts 3:19. You will never again be alone. Romans 8:38-39. I pray that God will fill your heart with hope. He has a good life for you. Thank you for instilling hope and for reminding us of God’s love. I am sure that if we can position God well in our lives to be before everything else then we will be able to deal with any situation we may be faced with for we be sure that he is in control and we will let him handle whatever it may be for us. Thank you for taking our pain and confusion and for standing with us in prayers during our healing processes. We have received peace and good understanding for our situations. Please pray that I would be removed from someone’s heart, and that they would be removed from mine in a gentle way that won’t hurt either of us. That we would openly and willingly accept that we aren’t for each other.